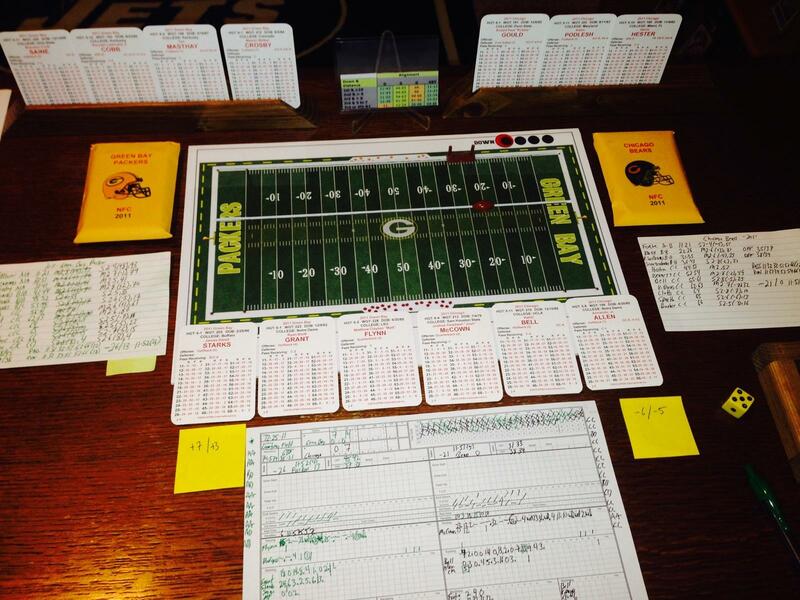 This entry was posted in Fields and tagged APBA Football by oguard62. Bookmark the permalink. Brilliant! Might be a more cost-effective way to have each field represented than the method I was going to use. Does Grant do vintage fields, as well? I’ve been researching pre-1980 NFL and AFL end zones and would love to have some of those. I just posted a 49ers field for the 1970’s tonight, also finished up the 70’s Rams. Thanks Ron, it has been corrected…The base is 3 mil Calendar Vinyl stock material with LAMEX 4 mil overLaminate on face….I too used play-by-play sheets for years, however, I wanted to get back to using the field about a 1 1/2 year ago because it is a board game …I’ve had 50 fields made (32 modern) and all of the 1960 fields for my next replay of 1967. I get a generic page that says it is for sale. For the modern fields, Grant has them in inclimate weather condtions also (rain/snow). I just finished up my first 1960’s field and it is ready for download on the site. Just printed out all of the current fields; can’t wait to work them into my gaming. I mount them onto foam core and plot movement with push pins; different colors for the ball, line of scrimmage, 1st down marker and penalties when they occur. I will check out the inclement weather conditions as well. Any chance to get Notre Dame’s stadium or a few other college venues? I’m working mostly on NFL fields as this is a Hugh task to try and create them. I will see what i can do on the Notre Dame field, email me a picture of what you are looking for and we will see how it goes. Here’s a link to a bunch of images. I was just tossing this out as a wish list request; completely understand if you don’t have the time. Thanks for considering. My web site was shutdown, looks like I was not to use it for storage of images of any kind and they considered it that with the storage of my fields. I mightily get my own provider next year and repost the fields. Sorry for those who did not get them. I would gladly store them on this site for you. You would have your own widget name and your creations would be stored there. Let me know. Yes, that would be great if you could host them on your site. Let me know if you are missing any. is it possible to get a customized APBA style field? email if possible! Its fine with me if you want to create an sell the fields.